Boyds Mills Press, 9781563978050, 32pp. Abraham Lincoln was the first president of the United States to wear a beard. What gave him the idea to grow whiskers may have been a letter he received from an eleven-year-old girl named Grace Bedell. Charmingly told by Karen B. Winnick and illustrated with rich oil paintings that capture the look and feel of nineteenth-century America, here is the true story of the girl whose letter helped to make Abraham Lincoln's face one of the most famous in American history. 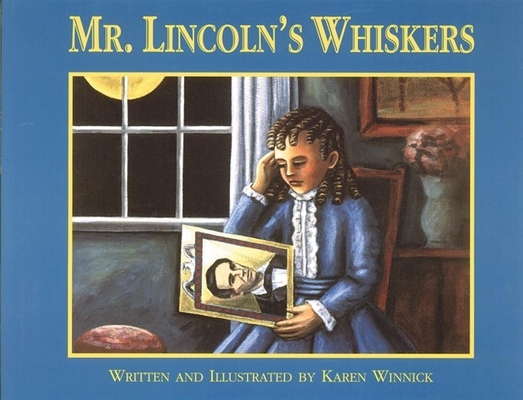 Karen B. Winnick is the author and illustrator of Sybil's Night Ride and Mr. Lincoln's Whiskers. She lives in Los Angeles, California.